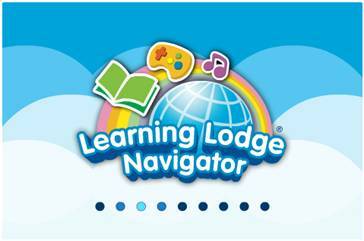 If you have not already registered your MobiGo® 2 on Learning Lodge Navigator®, you need to do so before trying to transfer your photos. 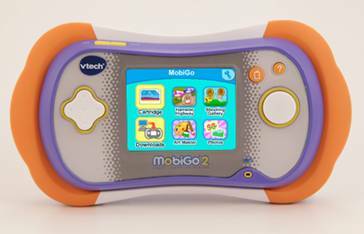 Please confirm that your MobiGo® 2 is registered on Learning Lodge Navigator® OR, if it is not, reference the VTech tutorial, "Registering Your MobiGo® 2 on Learning Lodge Navigator®" before continuing. 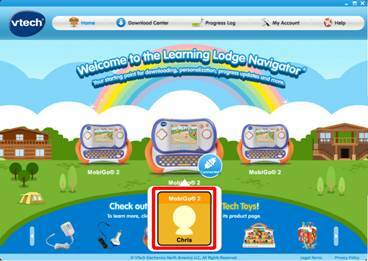 Click on your child's profile underneath the MobiGo® image on the Learning Lodge Navigator®'s home page. This will bring you to the MobiGo® 2 home page. Select File Manager from the menu on the left. 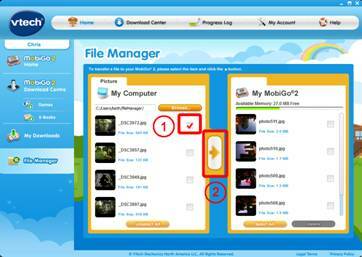 The File Manager can be used to transfer photos to and from your MobiGo® 2. Photos on your computer will be shown on the left. 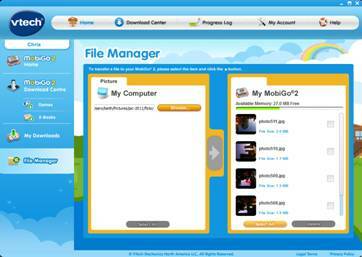 Photos on your MobiGo® 2 are shown on the right. 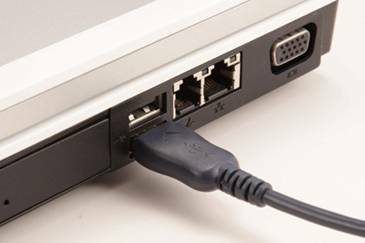 To locate the photos on your computer click the Browse button. This will open a dialog box. Navigate to the folder that your pictures are in. Select the folder and click OK to open it. The pictures in the folder you selected will appear on the left. Check the boxes next to the pictures you want to transfer. Then click the right arrow. 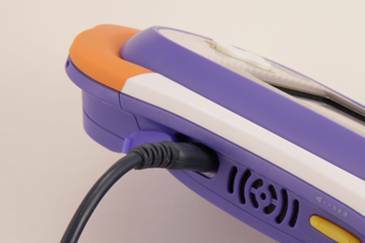 When the transfer is finished you can disconnect the USB cable. 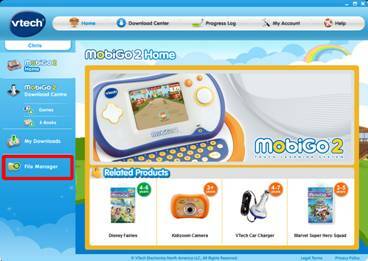 Select Photos from the MobiGo® 2's main menu to enter the photo viewer. Enjoy your photos!